When was the last time you received anything besides a bill, coupon or catalog in your mailbox? Thanks to the Internet, social media and a variety of apps, nowadays there’s little need to use the U.S. Postal Service to communicate. That said, there’s a special quality to receiving a physical letter from a friend that a digital note just can’t replicate. 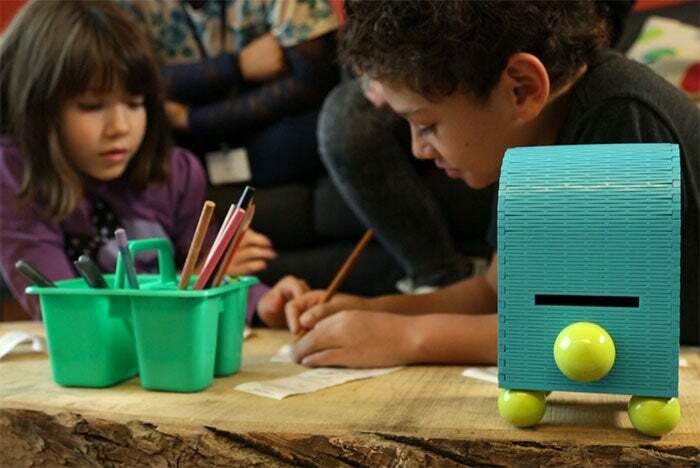 Wanting their young daughter to experience the joy of snail mail, toy designers Alysia Finger and Albert Niko Triulzi were inspired to build Turtle Mail, a colorful, Wi-Fi-connected wooden mailbox that prints messages and photos via an internal thermal printer, no ink cartridges required. To send their kids messages, parents can use the toys’ accompanying mobile or desktop app and schedule when the messages are sent to print. Turtle Mail is now available for pre-order, with the product expected to ship in December. The toy is the first product from AE Dreams, which the couple launched in 2014. According to Wired, Finger first conceived of the project in 2013 during her senior year at Carnegie Mellon University, after talking with more than 100 parents, caregivers and children to get a better understanding of what was missing from the toy space. Finger found most parents were wary of too much screen time. “They were all very reluctant to add another screen-time activity to their children’s day, and many expressed how hard it was to get their kids off of computers and tablets,” she told Wired. In addition to the mailbox itself, AE Dreams makes printable content such as games, puzzles, mazes and messages from characters like the Tooth Fairy and Santa Claus. And because the app allows parents to set up additional profiles, kids can receive messages from their favorite toys or even the family pet.